Migrate your website from http to https at free of cost from us. It's time to move to the higher level of security at free of cost. 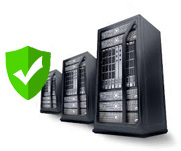 HostingRaja offers free migration from http to https at absolutely no charges. 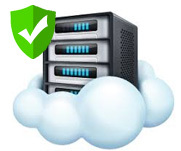 Buy VPS,cloud or dedicated from us to enjoy this benefit. The https empowers you on the internet with loads of benefits, when you have the https with you, it gives you the honor of being secured and raises the reputation of your web application among your rivals. It helps you to get noticed on the internet quicker as the google never entertains the unsecured website to highlight ot the users. Get your website migrated from http to https and empower it with the “secured” honor. The google has warned recently at all the non https site that they will not be entertained on its search results and there is only little time to left to migrate yours to https. Unique modules to handle SSL. Free migration from old server. Hosting your web application on our most secured and lightning fast shared server. Get yourcpanelwith your plan to manage your server like a pro. Dedicated server. The big boss of all hosting providergetthese giantwith usatamazingprice range that comes packed with loads of features and secured parameters. Today Google wants a website which is with better security. And as per Google HTTPS “protects the integrity and confidentiality of data between the user’s computer and website.” The reason why Google gives importance to those websites which are HTTPS is that- it gives three layers of protection ie, encryption, data integrity and authentication. And thus this as made HTTPS as an essential, safe and secure experience for the website users. 1. Encryption- Encrypting the exchanged data to keep it secure from listeners. which means that when a user is browsing any website no can listen or see to their conversations or track their activities of visited pages or even steal their information. 2. Data integrity- With data integrity, data cannot be modified or corrupted during transfer, intentionally or otherwise, without being detected. 3. Authentication- By having better authentication it secures the user's communication with the intended website. And it also protects against man-in-the-middle attacks and helps to build the better trust of users which will further translate into other business benefits. Moreover, HTTPS is one of the highest layer of Open Systems Interconnect (OSI) model and the protocol for security operates in a sub-layer where it encrypts HTTP messages before transmission. And in HTTPS it uses the SSL certificate. And these SSL cryptographic system utilizes two keys, one public and one private, for data encryption. Yes, moving to HTTPS is one of the expensive action. Because you need to buy certificates and pay extra money on hosting or on your CDN and soo on... But whereas today here at HostingRaja we provide free SSL certificate when you buy our server solution plans without any extra penny. Hence moving to HTTPS is not as expensive, it’s easier for champions to push it through. Today there are a lot of new tools where one can utilize to move to HTTPS in an inexpensive way. Because here at HostingRaja we make it easy with auto generate of certificates, and allowing platforms to generate them for users, and allowing ops teams to generate a certificate for every microservice. Thus these tools play an important role in decreasing the cost because human are often intend to go with an inexpensive IT project. As you know the web is still a network and one website’s actions will impact on another. Because each time when a website is moved to HTTPS its competitors are more likely to have a good transition. If any website which is moving to HTTPS will require its third-party guides to support it which in turn will make it easier for their next customer to switch. By migrating a website from HTTP to HTTPS it helps to have a better ranking in the search engines. Because over 40% of the website on the first of the Google is HTTPS because Google has also confirmed that they favor HTTPS websites. Moreover Google wants to ensure that its user needs to have the best experience while browsing and while sharing the confidential data of that users. If your website isn’t secure, then it could be getting outranked by similar sites that are. Yes, my migrating a website to HTTPS it has been confirmed that it plays a major role in boosting the overall SEO of that website. Because as per the latest study it has been said that HTTPs will give you a bit of a boost in Google rankings, and it will most likely increase in the future. So over time, we may decide to strengthen it, because we’d like to encourage all website owners to switch from HTTP to HTTPS to keep everyone safe on the web. 3. It’s better for users. Since there is a lot of hacking taking place on the web it is very important to have an SSL certificated for a website. Because with SSL it helps to prevent these “man-in-the-middle” attacks which is a form of eavesdropping where communication between two users is monitored and modified by an unauthorized party and keeps user information secure. Thus it had made https especially important if your website accepts credit cards or has a login functionality. Today many website users will not have a complete technical understanding on what secure connections is, and they only understand that they want their website to be HTTPS if they are providing any personal information. But by having the proper knowledge and information on HTTPS you will see a difference in conversion rates between HTTP and HTTPS sites. Since Google, as its new update on HTTPS, you will probably see a larger difference in conversion rates between the two. One of the best reasons to go with HTTPS for a website is that you get more and improved security. Because according to the study Every 30 seconds there is a cyber attack and out of these cyber attacks 43% is targeted on small business websites. So by using an SSL certificate, it will protect your users’ information and your information from hackers. Thus it keeps everything safer and more secure it is a better option for everyone. How to embed videos in WordPress?